Welcome to 103.5 WDBF-lpFM Brave Nation. Broadcasting from the Hoosier Pattern Studios, we are the Voice of Bellmont High School. We play non-stop music 24/7 and are completely student-operated (well, there is an adult GM but he just brings us food and candy but he is a nice man). 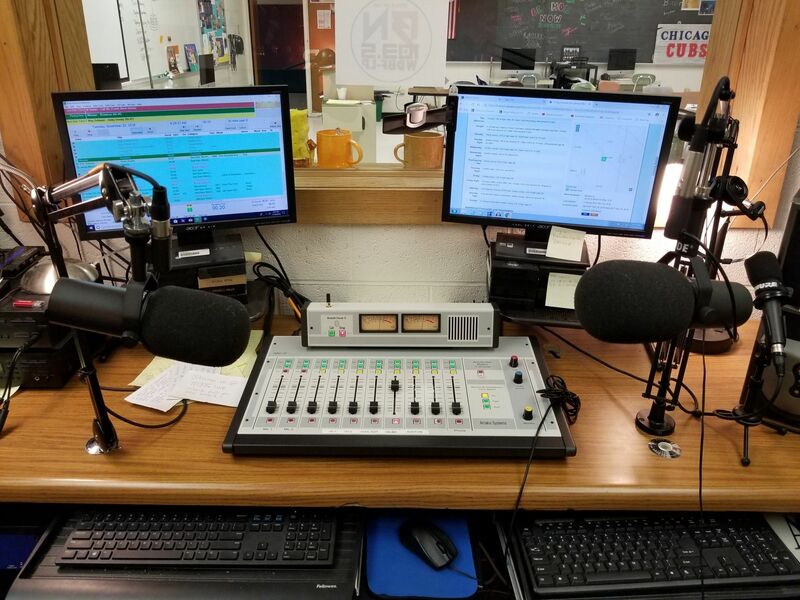 We are a low-powered (LP) FM station operating with 100 watts of power, we cover all of Adams County, and—if it’s really cloudy—we reach Allen, Wells, and Jay counties. Five more weeks of classes- 25 days. Spring is here, in all it's glory! Sweetwater is the country's most respected dealer of music instruments and pro audio gear. Catering to beginners and rock stars alike, Sweetwater is committed to providing the highest level of customer service in the music technology industry. For further information visit www.sweetwater.com. Reusser Design is an award-winning technology company that builds custom digital solutions to help businesses of all sizes accomplish their vision. ©2019 WDBF 103.5 lp-FM Brave Nation . All rights reserved.